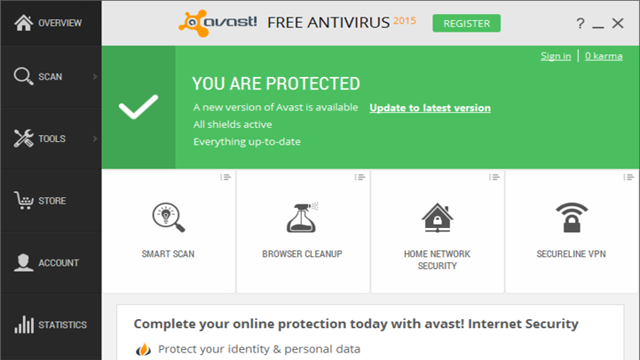 Avast free antivirus latest version download for windows pc. Avast Free Antivirus provides the essential security you need to protect your PC from hackers and thieves. Avast is constantly updating its database of virus definitions, meaning your computer will be protected against the latest spyware, viruses and potentially hazardous websites. Scan your home network for weak spots. Scanning of EXE files is around 2 times faster. Get rid of annoying browser add-ons. Prevent your logins and passwords from theft. Log in to your real banking site, not a fake one. Shield your computer from hackers.